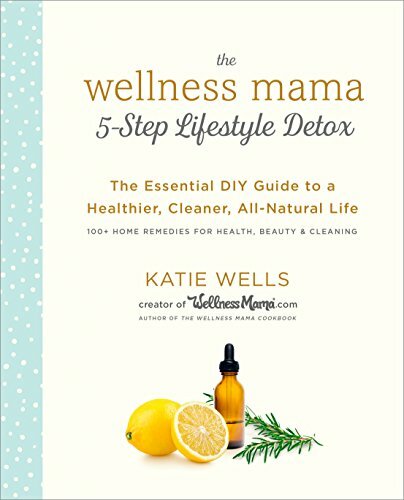 Katie Wells, the force behind the incredibly popular website WellnessMama.com and author of The Wellness Mama Cookbook, teaches readers how to become healthier and more productive with a 5-step plan of DIY tips and tricks to detoxify and take the stress out of daily life. Katie shares the secret of how she gracefully manages five kids, a company, and a career without sacrificing her desire to embody a healthy, natural lifestyle, both for herself and her family. With her simple 5-step plan, she’ll show you how to implement a system for living healthier by transforming your diet, getting rid of the chemicals in your everyday life, and organizing your time in order to achieve maximum confidence, productivity, and wellness. You will be able to detox by trading in your traditional household cleaning products, beauty products, and over-the-counter pharmaceuticals for more than 100 all-natural DIY “recipes.” You’ll also learn how to create an organizational framework for each day, incorporating time-management strategies, bulk-cooking techniques, chore charts, meal plans, and more. The book will showcase Katie’s natural answers to matters of home, nutrition, and motherhood, and provide the harried with advice on how to painlessly incorporate these tips and remedies and reap the benefits of a natural life.